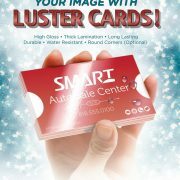 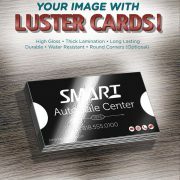 Stand out from the crowd with Luster Cards! 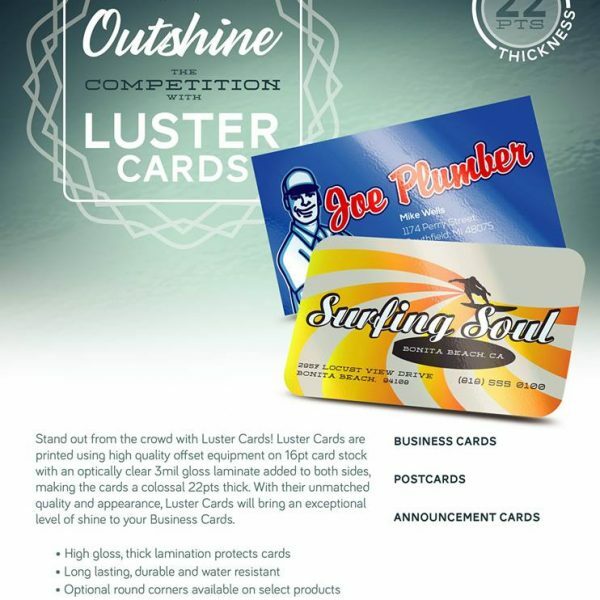 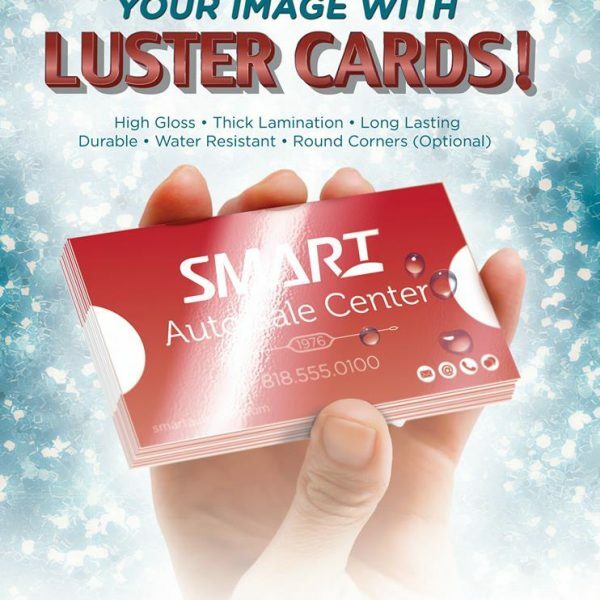 Luster Cards are printed using high quality offset equipment on 16pt card stock with an optically clear 3mil gloss laminate added to both sides, making the card a colossal 22pts thick. 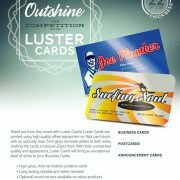 With their unmatched quality and appearance, these cards will bring an exceptional level of shine to your Business Cards.